An absolute classic that got Steven Moffat's era off to a phenomenal start. New Doctor, new companions, new showrunner, new TARDIS, new screwdriver, even a new theme song. With Doctor Who about to go through a massive amount of change in the upcoming series, it’s time to look back at the last time the show went through so many alterations at once – the 2010 episode, ‘The Eleventh Hour’. At the time of the episode’s initial airing, then-showrunner Steven Moffat was under a lot of pressure. His predecessor (Russell T. Davies) had successfully brought back the show, and had helped it reach a level of popularity not seen since the 1970s. Most of that was due to his choice of leading man, and with David Tennant’s departure from the series in early 2010, the deck was stacked heavily against new lead actor Matt Smith. A 27 year old man, with virtually nothing on his résumé – how could this man compete with David Tennant? Smith clearly took note of the inevitable backlash, and responded by giving a fantastic performance that shamed us all for ever having doubted him. Within seconds of his arrival, Smith fits perfectly into the role, accurately able to convey the thoughts and sentiments of a 900 year old man through a youthful appearance. 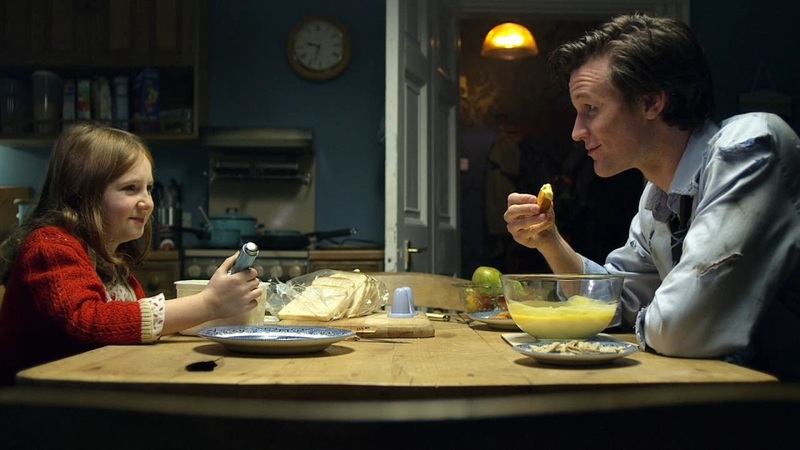 He establishes a good rapport with Amelia Pond (Caitlin Blackwood, one of the best child actors on the show), expertly bouncing from the goofy kitchen antics at the beginning, to the more quiet authority he exudes as he examines the sinister crack in her bedroom wall (a typically interesting and creepy idea from Moffat). The pair were so good together, that it was a shame to see young Amelia disappear after the 15 minute mark. Still, that disappointment is alleviated by introducing us to the older version of the character. Much like Smith, Karen Gillan was an unknown at the time of airing, yet she proved to be instantly convincing as a more cynical and broken Amy. She is able to display charm and charisma, yet still effectively show Amy as a very emotional and vulnerable person. Prickly, yet likeable, I haven’t fallen in love with a companion as quickly since then (except for maybe Bill Potts). Most importantly for someone playing the companion, Gillan establishes an exceptional chemistry with Smith, the two of them bouncing off each other with Moffat’s typically witty dialogue. The pair of them work wonderfully together, standing out as one of the best Doctor-companion pairings of the new series, and thus making us very happy to see more of them. This is the ultimate key to the success of ‘The Eleventh Hour’; it’s why I’ll be able to talk about this forever, as opposed to ‘The Bells of Saint John’. Outside the establishment of a good TARDIS team, ‘The Eleventh Hour’ is a textbook example of a phenomenal introduction episode. The episode possesses a delightful, fairytale-esque tone that marks a shift from the more domestic approach of the Russell T. Davies era, while still having a quirky feel that is very typical of Doctor Who. Lacking the emotional baggage of the previous stories helps the episode feel more accessible for new viewers, as it introduces the main concepts of the show for them. 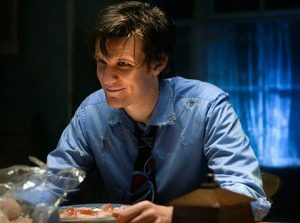 Moffat’s script is fantastically written, with an exciting story and infinitely quotable dialogue (“it’s an inter-dimensional shape changing multiform, they’re all so terrified of wood!”), and memorable moments (like the rooftop scene), assisted by some stellar, almost cinematic direction. Murray Gold’s soundtrack continues to be impeccable, introducing several iconic new tracks, including ‘I am the Doctor’ and ‘Mad Man in a Box’. Meanwhile, a strong supporting cast including Arthur Darvill, Nina Wadia and Olivia Colman round out a story that kickstarts the Matt Smith and Steven Moffat eras in thrilling fashion. So, as our attention turns towards the incoming arrivals of Jodie Whitaker as the Doctor, alongside Tosin Cole, Mandip Gill and Bradley Walsh as her new team of companions, it’s best to have this in mind with regards to doing a great introductory episode. If Chris Chibnall can introduce his Doctor and companions with a story as fresh, breathtaking, well-written, and perfectly cast as this, then we may well be in for a spectacular ride.